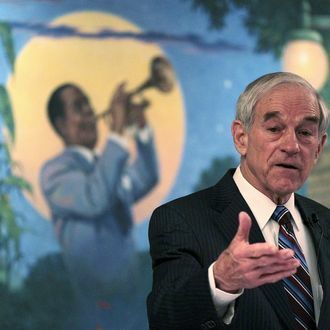 A new Ron Paul ad arrived on the heels of controversy surrounding a series of racially charged newsletters published under the GOP presidential candidate’s name in the eighties and nineties. The two-minute video features a black man telling the story of how his sick, pregnant wife (who was white) was denied service at a Texas hospital in the seventies — where the narrator says there was still a lot of prejudice. Ron Paul, then a physician at the hospital, stepped in to help the couple — delivering a stillborn child, and making sure they were not left with a bill to pay. The ad was produced by the Super PAC supporting Paul — Revolution PAC — and not by the Paul campaign. When played for him, Paul said he didn’t remember the incident but just believed that it was his responsibility to help, and thought it was “magnificent” how grateful the man was. Paul has stated that he did not read or write the racially charged newsletters and now disavows their content, though he has not clarified who did write them.